This Carlisle 4007400 red professional-grade double-blade 14" window squeegee has a zinc-plated steel frame for strength and resistance to rust. The double blade is made of rubber for resistance to chemicals and abrasion. The squeegee's screw-in frame facilitates channel and blade changes. 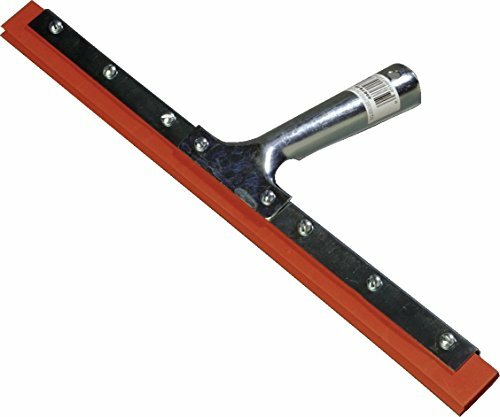 This window squeegee is recommended for use with the Carlisle 40261 tapered wood handle (not included). Unger Professional AquaDozer Max Smooth Surface Curved Floor Squeegee, 24"